In the stock market the value and the quality of information is very important. Even if the prices of the stock are unpredictable, past trends and information can help people, especially financiers, to take decision about buying or selling stocks. Information regarding price behavior can be very useful not only to buy or sell stocks, but also for buying other kind of products, not related with the stock market. This information can help people making decisions about buying a product. Often when you discover a product you are not ready to buy it, because you do not know if the price you are going to pay is fair or simply because you do not have enough money to buy it. How can you be sure you are making the right decision when buying a product or how can you know that a product is within your budget? Well, there is an application for your tablet or your mobile phone that can answer to both questions. 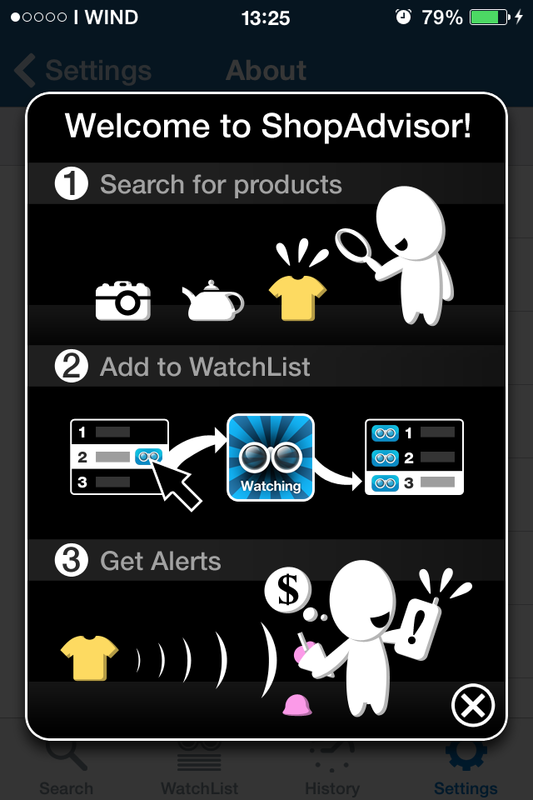 With ShopAdvisor “consumer’s simply “watch” products they discover and like, and they are saved to one convenient list, accessible anytime, anywhere. Later, when the time is right, ShopAdvisor reminds them – on their phone, in their email, on their tablet. That sweater is finally available in retail. That TV price is finally within your budget. That designer is offering a sample of their new fragrance” (Shop Advisor, 2014) (see Figure 1). Besides the alert ShopAdvisor sent you when a product is finally within the budget is also shows you the price behavior of the product since it was launched (See Figure 2). Using this information you can make see if the actual price is a good deal or not. If it is a good deal and you are interested in buying the product ShopAdvisor will show which stores are selling the product and it will redirect you to the one you are interested, in this way retailers are benefited from the app as well. Figure 2. 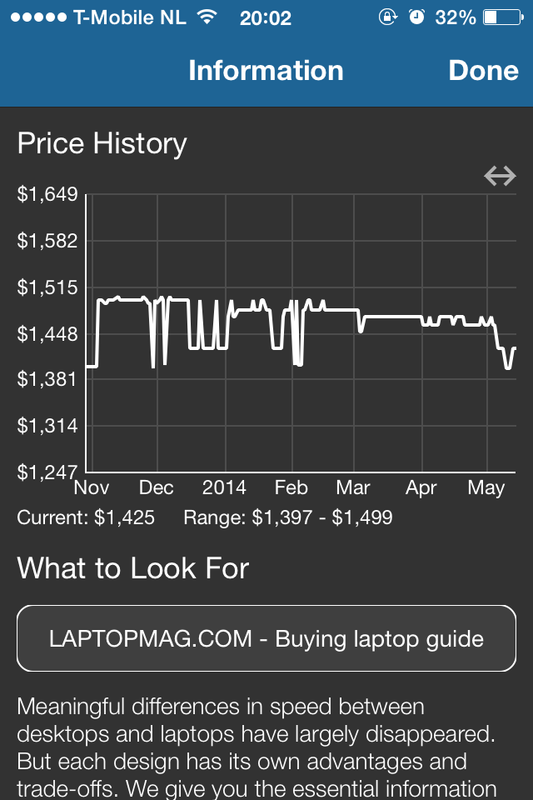 Price history of a certain product. On the other hand ShopAdvisor also offer a service for media companies and for advertisers. ShopAdvisor gives the possibility to costumer to buy any product that appears in a device without even being search by the consumer in the app, closing the gap between discover a product and buying a product, this is to say “any content can become shoppable (Shop Advisor, 2014)”. Besides, companies can track every step of the consumer behavior using algorithms which can give a measure of the effectiveness of a certain campaign, for example. This information is valuable not just for media companies but also for advertisers. Unfortunately at the moment, the app just gives you information about companies in the USA, however has the potential to be used in any market and probably within a few months will be available in Europe.